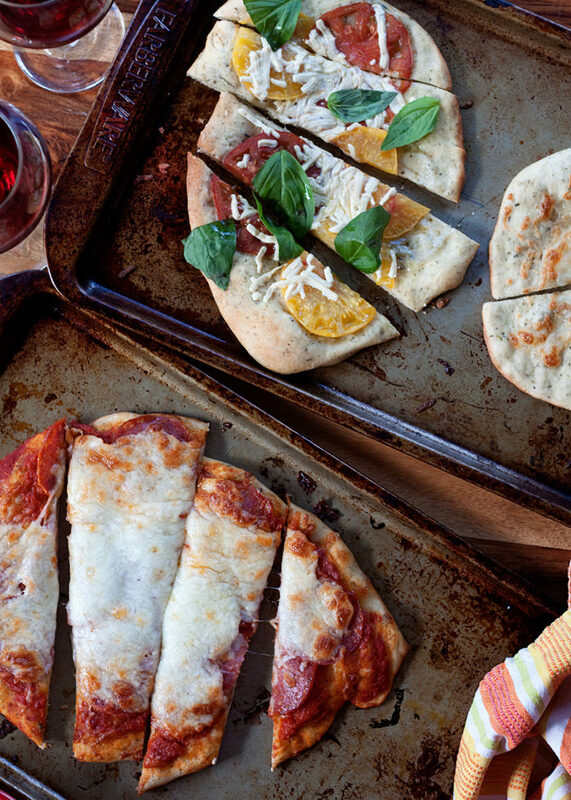 Pizza night is all about the easy and cheesy around here. 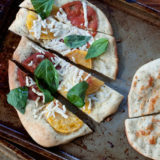 Well, not always the cheesy – after all, pizzas made individual style can have whatever you want (or don’t want) on them. That – and the imperfection of it all – is the beauty of it! 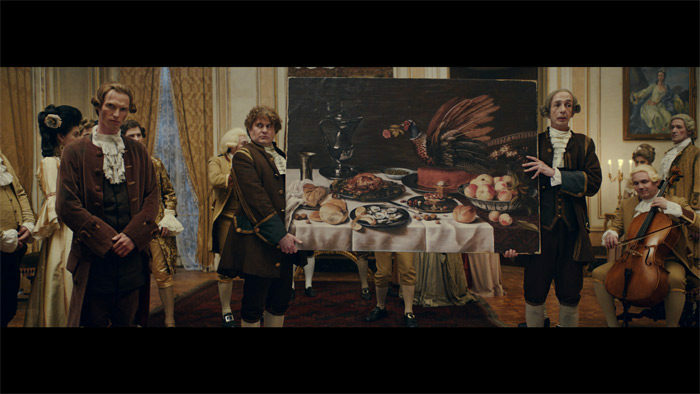 I’ve always been a little over the top when it comes to the whole domestic bliss thing – decorating, cooking, hosting parties. Not because I felt Pinterest pressure – or the equivalent before Pinterest became along – but rather because, truthfully, I do get a little giddy over a coordinated-yet-cozy living room or perfectly-swirled buttercream cakes on jadeite stands. And don’t even get me started on how I can geek out over wedding stuff if I let myself. But I also learned pretty quickly that domestic daydreams and the reality of life often clash, and clash hard. Attempting to execute all of the perfect little details I’d pored over would lead to one stressed out wife, hostess, and friend. Who wants to be around that?! For me, far more laughing, bonding, and happy memories result from impromptu movie nights with thrown-together quesadillas and questionable bottles of wine than from delicately coiffed petit fors and fine champagne. Pale peach painted pinkies up! Okay, well I’ve never been a Dom Pérignon kinda gal, but you get my drift. Magazines and Pinterest are still my jam for ideas and inspiration – once a domestic geek always a domestic geek – but somewhere along the way, things out there in the world have evolved into this highly curated, almost surreal, certainly impossible-to-obtain version of life. The truth is, sometimes it’s nearly impossible not to get swept up into this alternate reality – and perhaps I even try perpetuate it myself now and then with this here blog. Seriously though, rest assured – there are usually colossal messes just outside the frames of my food photos. (Anyone who knows me personally is nodding their heads). So I really love this new video from Ikea, and I’m thrilled to partner with them on this post so that I could share it with you. It’s such a great (and hiliarious!) reminder to “just relax” and LIVE. Yep, there’s something to be said for embracing joy, not perfection. Because, guess what? Trying to attain an unattainable ideal might just be having the opposite effect than you thought it would. I know that’s happened to me. Friday night is pizza night around the Kitchen Treaty house, and I’d be lying if I didn’t say that, sure enough, I’ve totally gone over the top pizza-style now and then and attempted to create my own little masterpieces. But usually, it’s all about the easy. The imperfection. The getting it done and getting on with family time. The best pizza nights of all are those in which I relinquish control and bring everyone into the kitchen to make their own (and help with eachothers’). 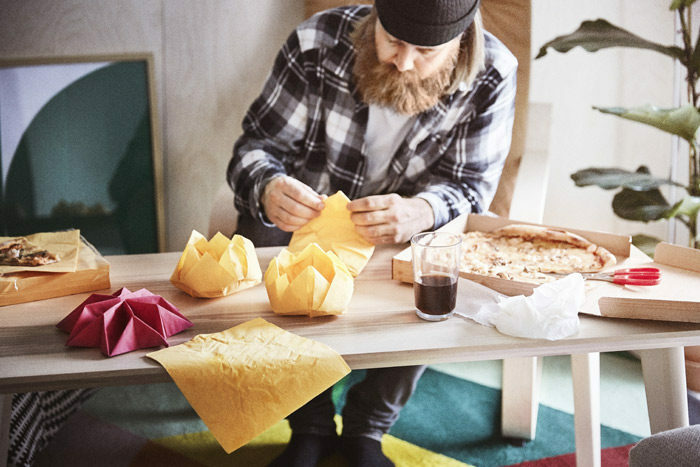 Each of us prefers a very different pizza – why not enable everyone to make it themselves? So what if your crust resembles the shape of that green monster from Ghostbusters. Are you smiling? Laughing? Relaxing? Good. Then your pizza is perfect. 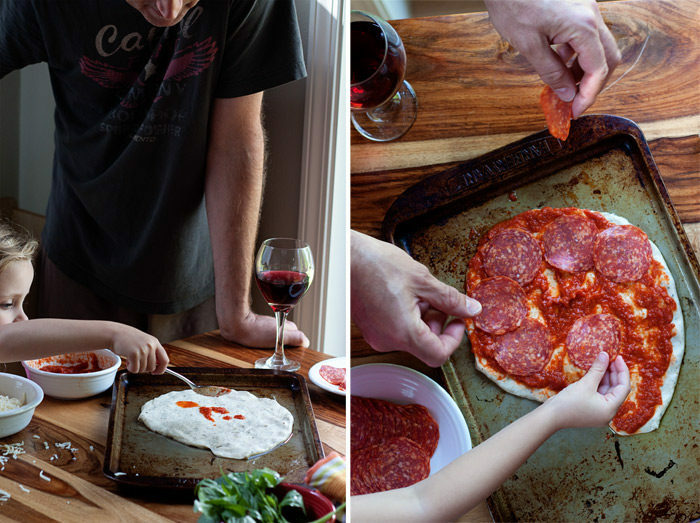 Pizza night – especially at the end of a long week – is such a great an excuse to just let go already. Sometimes, I make the pizza dough myself, but more often than not these days, I grab some premade stuff from the grocery store. Garlic and herb is our fave. Sauce-wise, I do tend to make that at home, but I whip up a huge batch and freeze it so that I only need to make it every couple of months or so. And then there are the toppings, which vary greatly thanks to our multivore household. We’re all about the individual pizzas. 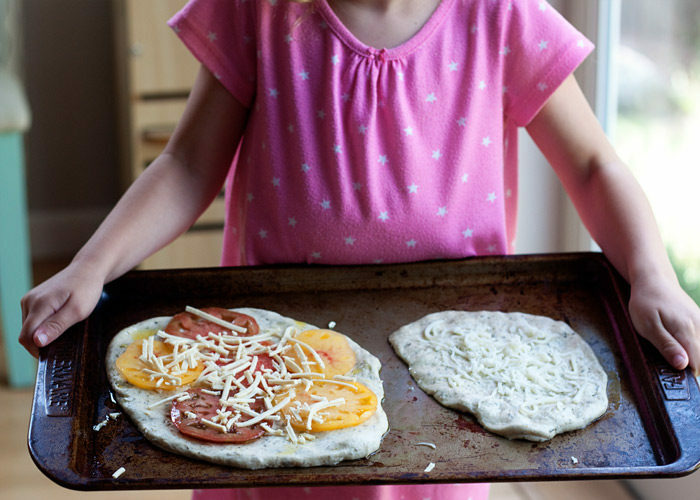 I usually go with a cheese-free number piled with veggies or olives while our daughter opts for a cheese-only pizza. Meanwhile, my guy is all about classic pepperoni. 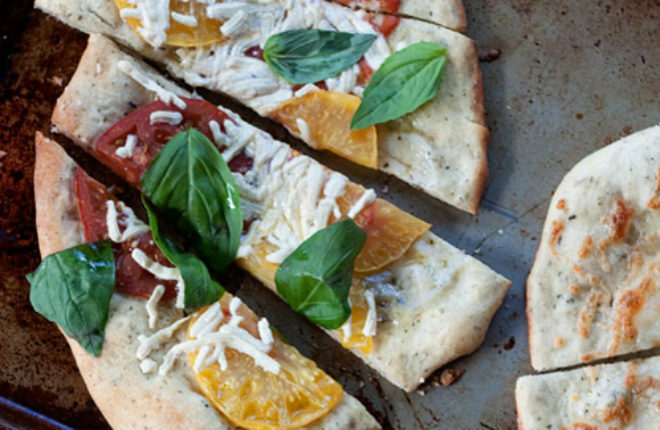 By Pinterest standards, our pizzas might be ugly. But on Friday night pizza night? Life is pretty beautiful. This isn’t so much a recipe as an easy, unfussy dinner idea, but I’ll list a few options below! Preheat your oven to 450 degrees Fahrenheit, or whatever your dough package or recipe recommends. We like to go with the highest heat possible for pizza. Oh, to dream of a wood-fired pizza oven. 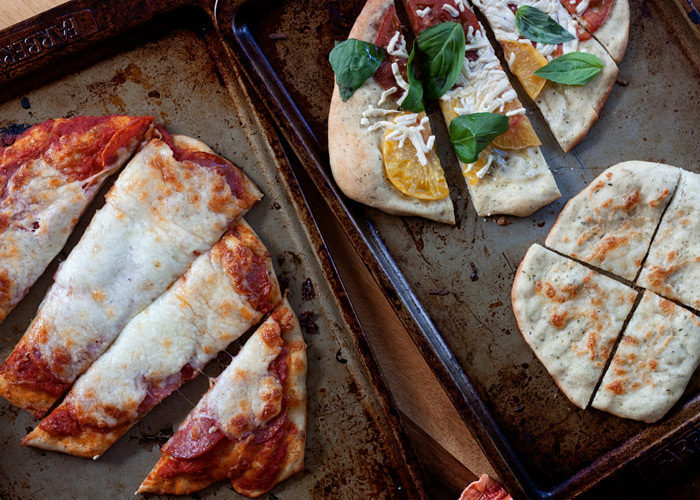 Cut your dough into three or four pieces, depending on how many individual pizzas you’re making. Stretch the pizza to form a circle or something close to it (the more misshapen the tastier, it’s a proven fact). If you’re using sauce, spread it on now. I sometimes like to omit the sauce and brush a little olive oil on instead. For the pizza photographed, I used olive oil with some thinly sliced heirloom tomatoes. So good. 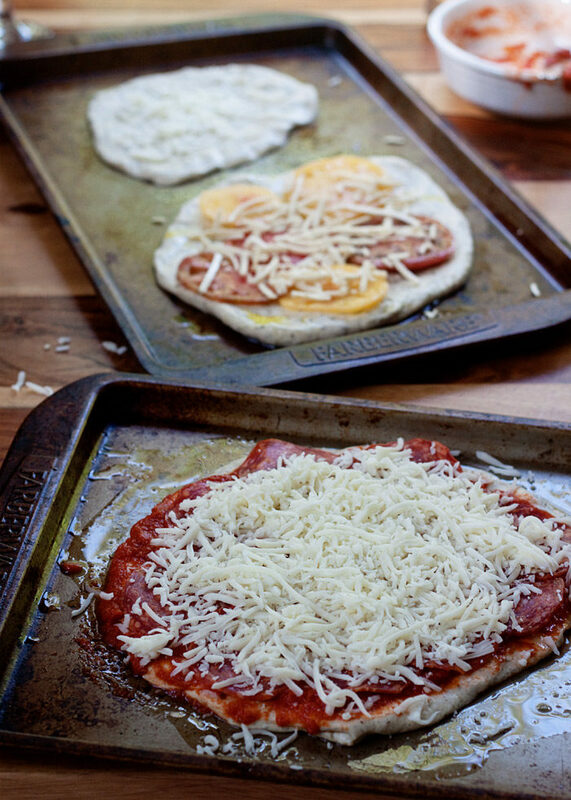 Add desired toppings, and then sprinkle with some cheese – a little or a lot, your choice! For my guy’s, he likes to barely be able to see the toppings he’s covering. For mine, I usually omit the cheese or add a sprinkle of non-dairy mozzarella. Our daughter likes a light sprinkle of cheese. And that’s it. Bake until golden brown on the edges and the cheese is bubbly, 5-10 minutes. Cut into slices, serve, and enjoy life! This post was sponsored by Ikea. Thank you for supporting the companies that support Kitchen Treaty! Great idea. I am always looking to make dinner for a meat/vegan crowd.